Photographers looking for a way to capture steadier video footage from either a smartphone, compact cameras or action cameras. 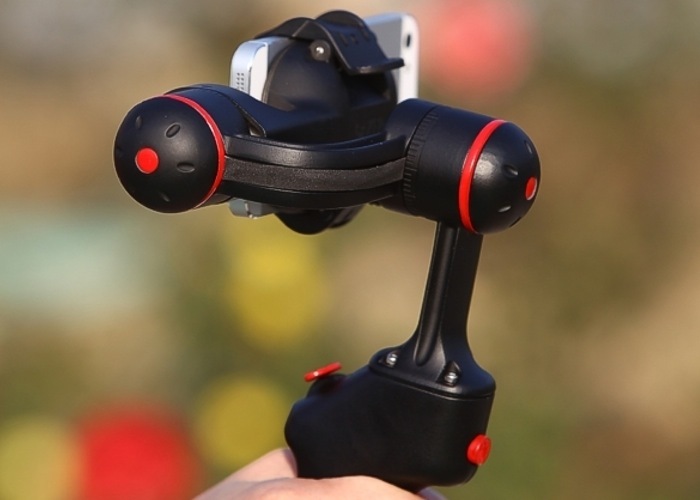 Might be interested in a new device called the Graze Gimbal which is being created to provides 360 degree roll and stabilise your video footage while you concentrate on the subject. The Graze Gimbal has been in development for a number of years and is now ready to make the jump from concepts into production and has started a crowd funding project over on the Kickstarter website. Watch the video after the jump to learn more about the Graze Gimbal project and see it in action. “The reason why we’re asking for help through kickstarter is simple. Developing a line of unique handheld gimbal systems & bringing them to market is expensive. To take Gazer to the next level we are looking to secure a minimum of $30,000.00 USD but are hoping that backer interest through the rewards system will provide us in excess of $100,000 USD in pre-orders. The Graze Gimbal project is currently over on the Kickstarter crowd funding website looking to raise enough pledges to make the jump from concept to production. So if you think Graze Gimbal is something you could benefit from, visit the Kickstarter website now to make a pledge and help Graze Gimbal become a reality.